Warm Goat Cheese Salad is an easy elegant offering for any entertaining. 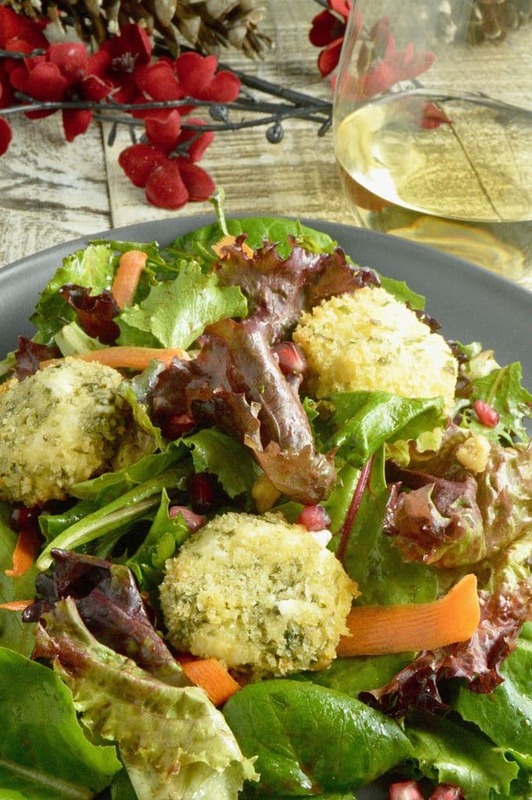 Baked Crispy Panko crust surrounds a tangy, herb coated cheese over simple salad greens. A perennial favorite your guests will ask for again and again! 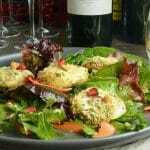 Today’s Recipe for Warm Goat Cheese Salad is a recipe that I like to call easy elegant and is perfect for holiday entertaining. I’d like to thank the Grocery Outlet for sponsoring today’s post, its always fun to be introduced to new things and have I got something to share with you. I’d never been to a Grocery Outlet before but I can honestly say that I will absolutely be going back again and again. (You can find store locations nearest to you here.). Its a grocery store that has all of the basics that you already are shopping for but at lower prices. Fresh fruits, vegetables, meats, staples…. and wine. All less than what you normally pay. A lot of the brands are one’s you’ve seen before, but there are also some private label brands. I had to find the store manager when I walked into the wine department. They had all of the signage with considerable price savings such as $6.99 normally $19.99. And a lot of the wines were labels I knew and purchased for higher prices. When I spoke to him he pointed out that a lot of wineries have left over juices and need to find a source to sell it so their buyers go in and buy them at good prices. Or they had an amazing crop of grapes and had such a good crop they were able to get more cases of wine than they had planned. Their buyers know their stuff living in Napa and knowing all the ins and outs they can get some great wines at amazing prices..
Today’s recipe for Warm Goat Cheese Salad I found all the ingredients for at the Grocery Outlet. The goat cheese, the pomegranate seeds, the salad greens and all of the ingredients for the dressing. I selected a Riesling to pair with it. I had so many wines to choose from but the Riesling had a slight effervescence that went so well with the tangy goat cheese. It sure makes it easy entertaining when you can get great prices on everything and only have to make one stop to get everything! 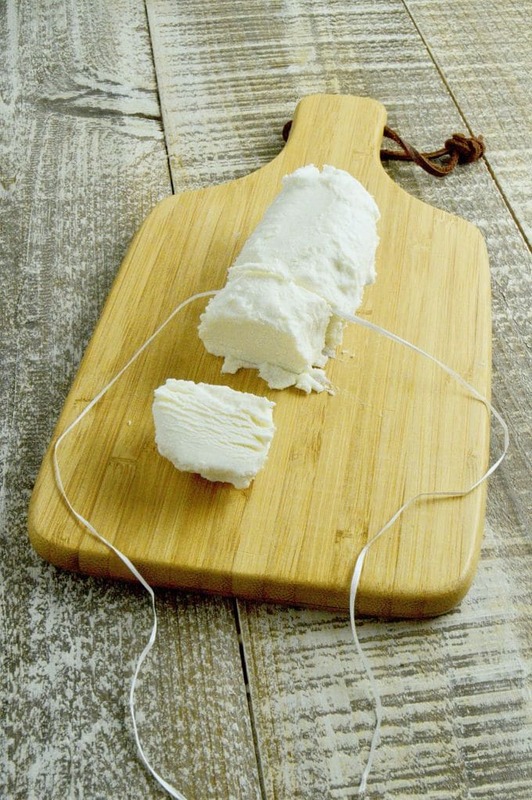 Goat Cheese is a popular cheese made from goat’s milk. 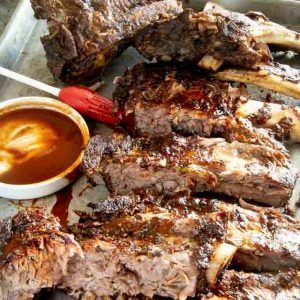 It has a lot of moisture and has a tangy flavor that is very distinct. I started eating goat cheese because it is lower in fat so I felt better about eating a lot of cheese. I have friends who eat goat cheese because they have some issues with dairy, and the goat’s milk cheeses are easier for them to digest. 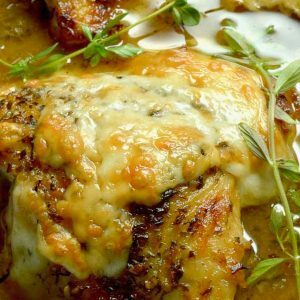 Cheese.com has a lot more information if you are interested in learning more. Then you set up a dipping station for the goat cheese balls. 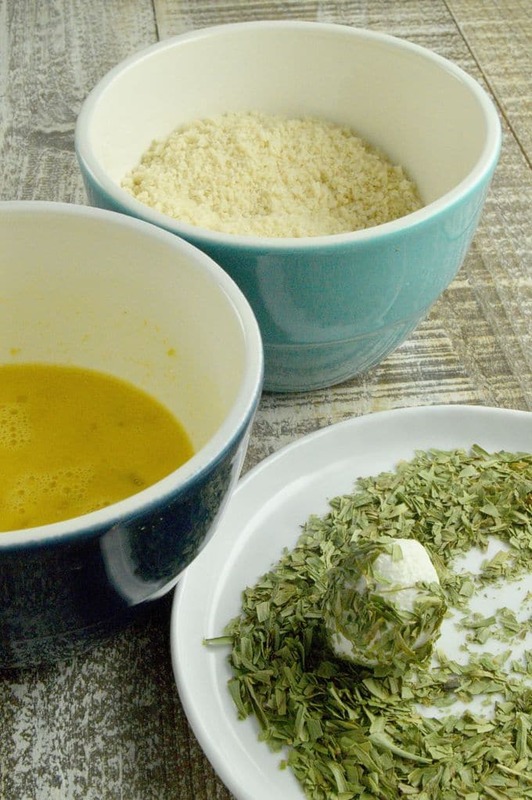 You roll them in the herbs, then the mustard egg wash and finally the crispy panko. If you set up the stations in the order you do them in it makes it very efficient. I put my baking tray at the end so after coating them you can place them right on the tray. 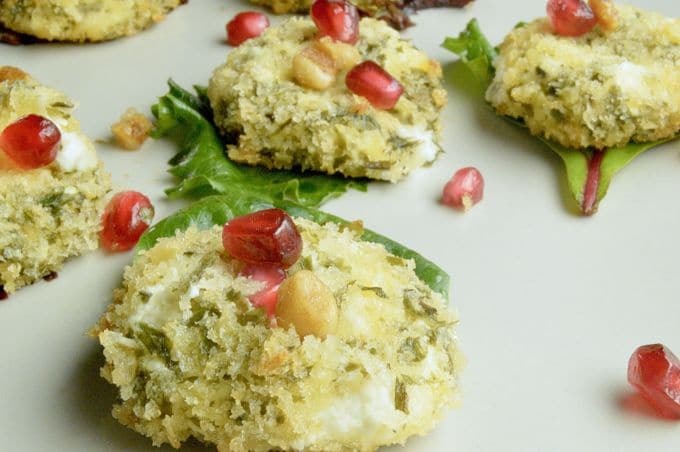 The last thing you need to do is press the goat cheese ball to a flat disk then pop it into the freezer for at least 30 minutes. By freezing the round, it allows the panko to get golden crispy and warm the goat cheese but not allow the goat cheese to ooze into a puddle. I mean the goat cheese all melty and gooey would taste great, but it wouldn’t be a great presentation! The rest is simple, you bake them then place them on a salad and serve them with a great wine. How easy is that? You could also serve these as an appetizer alone and have a wine tasting party with all the different wines from the Grocery Outlet like I did here! 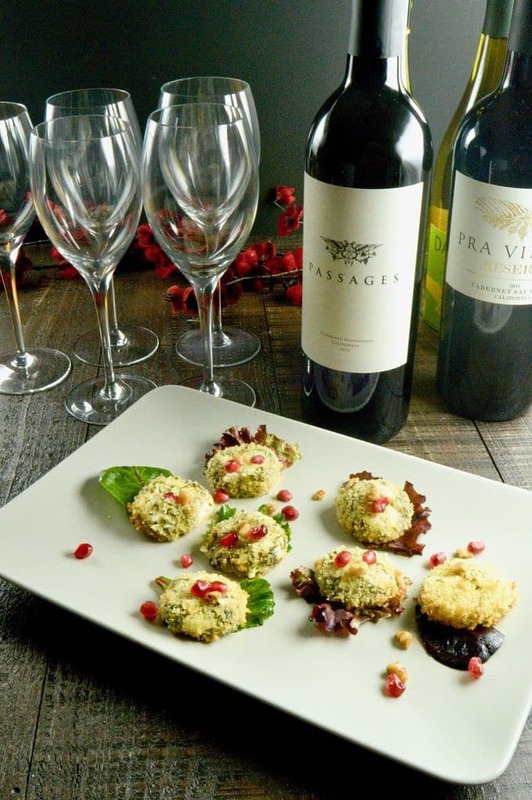 Try my Holiday Cranberry Orange Cheese dip or these Cranberry Pistachio Spread treats if you need other ideas for entertaining or are looking for a great appetizer to pair with wine! 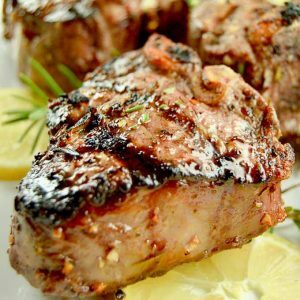 Are you looking for other great recipes to make for entertaining guests at the holidays? Or for some time saving tricks for your next get together? Follow me on Facebook and Pinterest for all things for entertaining with confidence and ease. In a small bowl, mix panko salt and pepper. Place tarragon in another separate small bowl. 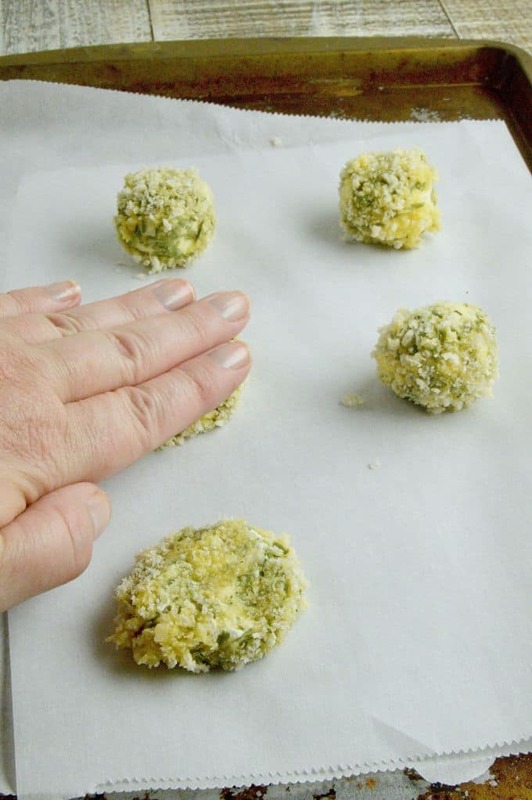 Roll ball in tarragon, then dip in egg mix and roll to coat completely in panko. Place fully covered ball on to baking sheet keeping them 1" apart. Once all balls are complete, use your hands to flatten into a disc. Place tray with discs in the freezer up to a week. (If freezing for longer than an hour, make sure and place in sealed container. Preheat oven to 475°. When ready to bake, bake them 7-9 minutes if chilled but not frozen solid. If frozen solid, bake for 9-12 minutes until golden brown and warmed throughout. Remove from oven and let set for 5 minutes while you are tossing the salad with the dressing. Toss washed greens with dressing. Place salad on a plate, then sprinkle pomegranate seeds and walnuts over the top. Place 2 rounds of goat cheese atop each salad. Serve immediately. Calorie information is a guideline using the ingredients I purchased to make this salad. If you are following a strict diet, please calculate nutritional info with your ingredients for complete accuracy. I am such a fan of goat cheese. The discs of warm cheese with crispy panko sound like the perfect addition to the greens and balsamic vinaigrette. What a perfect recipe for entertaining. I looooove goat cheese on salads! 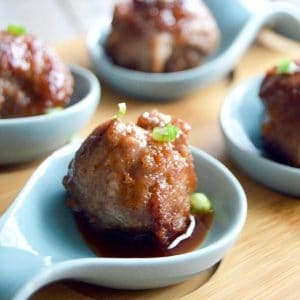 I’ve tried breaded goat cheese disks before, but didn’t freeze them, and they just melted into goopy balls lol. I’ll try your way!! This looks so good! Goat cheese is my favorite! I love the idea of using it for a salad or as an appetizer…or both, LOL! Hoe delicious! This salad looks amazing! And I love the tip for easily cutting the goat cheese!!! Easy to make but seems like so much more. Delicious and thanks for the grocery tip.